I needed a tool for migrating my Thunderbird mailbox data to Office 365, I searched online for hours, didn’t find anything suitable for the job, all of a sudden Kernel’s migration tool got my attention, I tried it, It worked perfectly." 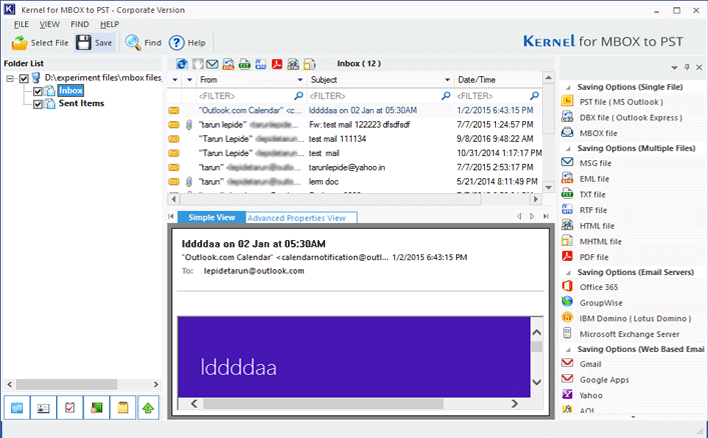 Kernel MBOX to Office 365 Migrator migrates mailbox data from MBOX files to Office 365 efficiently. MBOX users can migrate all their emails and metadata to Office 365 with complete integrity of the data. The MBOX to Office 365 Migrator has a preview feature that allows users to view their entire mailbox data before exporting to Office 365. 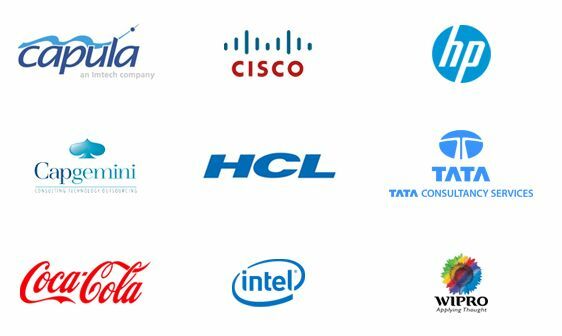 This helps to verify the integrity of the items and also to perform selective migration. The software has filtering feature to segregate your items before migration. 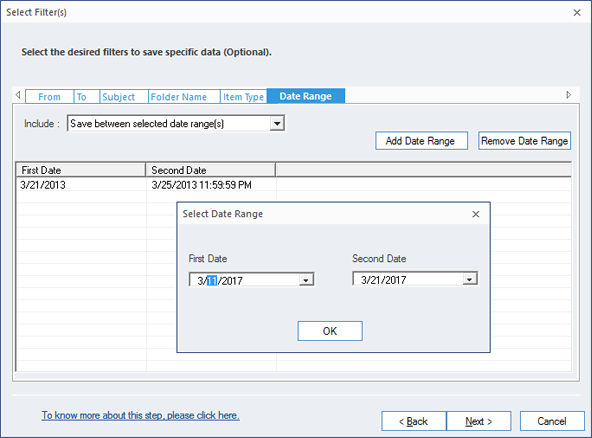 You can filter the mailbox data with criteria like date range, from, to, subject, etc. to accomplish selective MBOX to Office 365 migration. 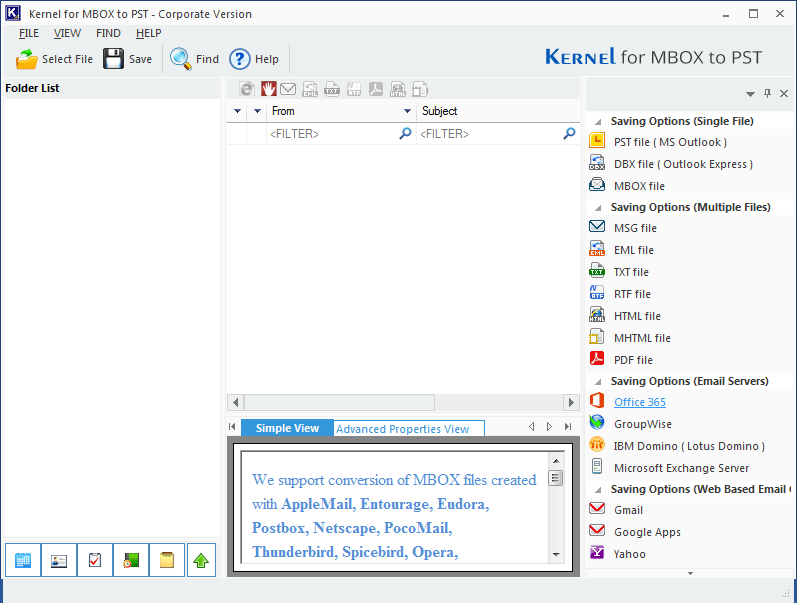 This utility can export mailbox data from the MBOX/MBS/MBX files of 20 well-known email clients. 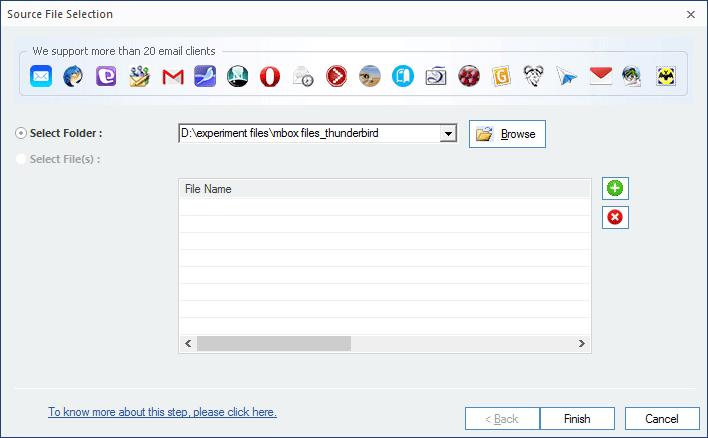 Some of the supported email clients are Thunderbird, AppleMail, PocoMail, Eudora, Spicebird, SeaMonkey, WebMail, and Sparrow. This tool can add single or multiple MBOX files for simultaneous Office 365 migration. These MBOX files can be of different email clients too. You can quickly browse the MBOX files from the system hard disk with this tool. This tool is compatible with all the plans of Office 365 (Exchange Online) and all the versions of Microsoft Outlook. You can smoothly run this tool on all the versions of Windows Operating System too. 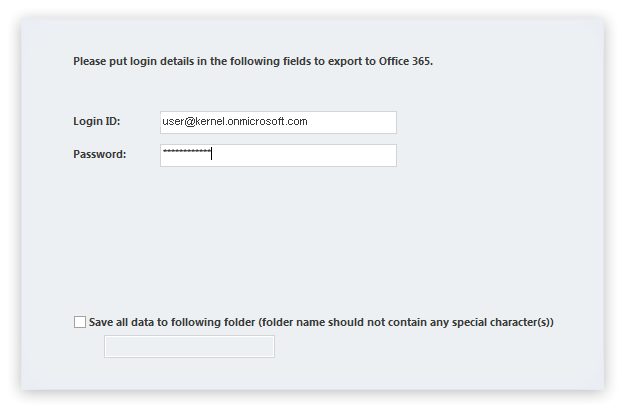 Kernel MBOX to Office 365 Migrator lets you migrate MBOX file to Office 365 in three steps – Add MBOX file, Preview emails, and other items, and save in Office 365. 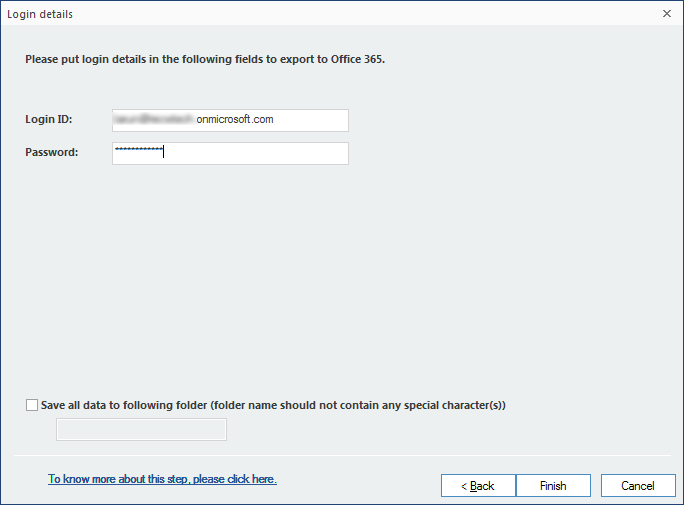 SelectAdd an MBOX file to migrate it to Office 365. PreviewSee the preview of your selected MBOX file before saving it to Office 365. SaveEnter Office 365 credentials to finish your migration from MBOX to Office 365. Can I use this tool to migrate my MBOX emails to Exchange server? Yes, you can use it. 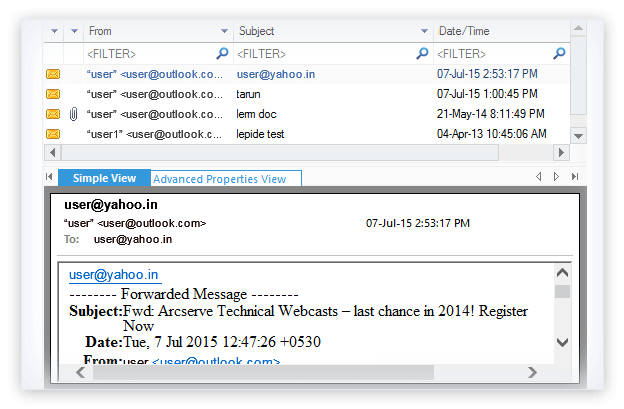 This tool migrates your MBOX emails to Exchange server and other email servers like Domino Server and Novell GroupWise. Can I migrate multiple files simultaneously with this tool? Yes. Using this tool, you can migrate single as well as multiple MBOX files in a single attempt. I downloaded its trial version. Will it migrate my MBOX data to Office 365? Unfortunately, No. It's trial version can only migrate MBOX data to some specific file formats. You can view all details on its buy table. I am using Windows 8 and Office 365 Business plan. Does this tool work for me? Of course, this tool has no compatibility issue. It supports all versions of Windows OS and all plans of Office 365 with Exchange Online. I am so glad I purchased this software. User interface is so easy and flexible. Love the companyâ€™s Customer support. They leave no stones unturned. The cost-efficient software with great deals and offers. Thumbs up for efficiency in cost and function. 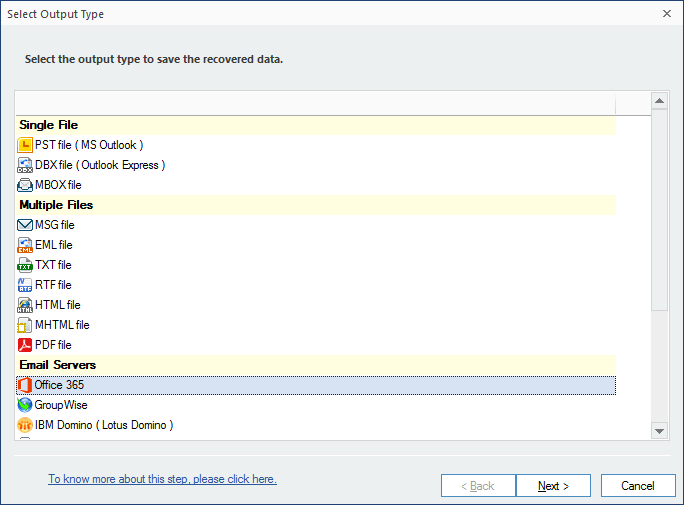 To start MBOX to Outlook migration, select the MBOX file(s) or add the folder with MBOX files. 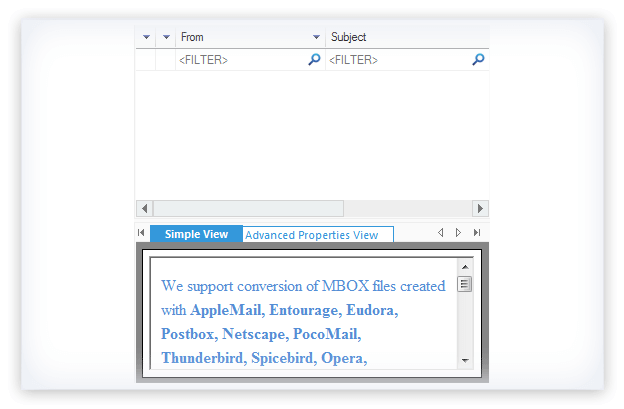 To preview an MBOX item, select a mailbox folder and then select the item. Migrate emails from Apple Mail/Thunderbird/Eudora to PST. Backup and export single/multiple Thunderbird mailboxes to PST. 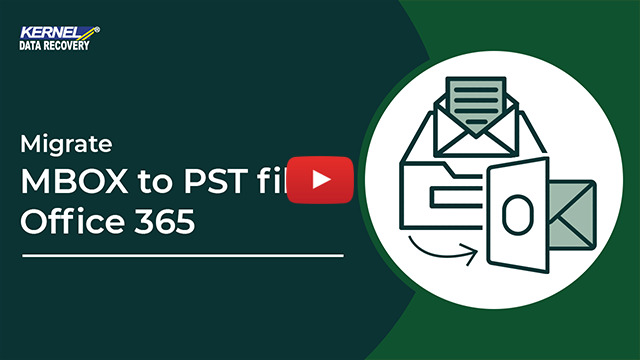 Quickly import OST and PST files to Office 365/Exchange mailboxes.